This project was selected within the scope of the InterReg IV A France (Channel) - England cross-boarder European Cooperation Program, co-financed by the European Regional Development Fund (ERDF). 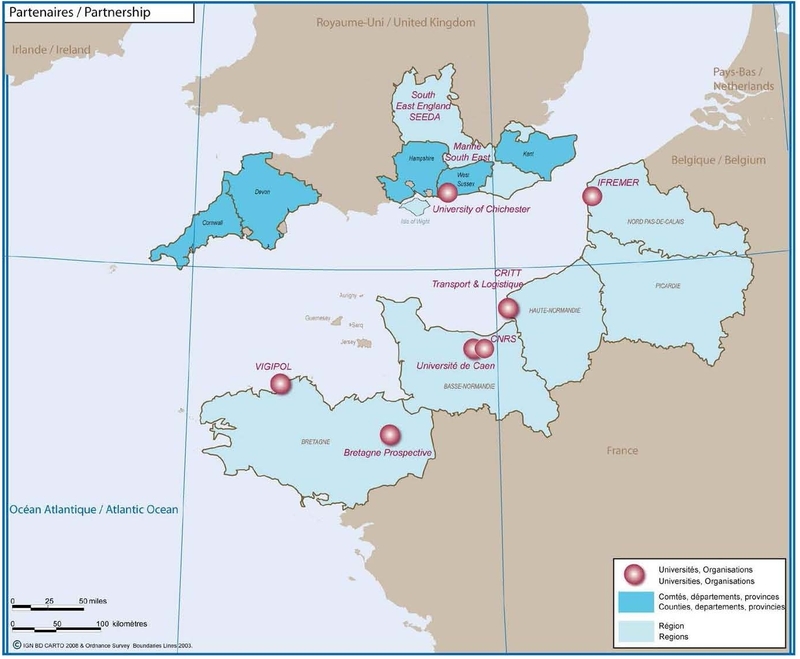 Approved in June 2009, within the framework of the INTERREG IV A France (Channel) – England programme, the CAMIS Project aims at developing and implementing an integrated maritime strategy for the Channel area whilst fostering concrete co-operation between stakeholders. Covering a period of 4 years (2009-2013), the project brings together 19 French and British partners. Developing greater knowledge of the Channel area and issues at stake, in particular through the development of a common electronic platform and the creation of a cross-channel atlas, entitled « Channel Spaces, a world within Europe ». This first project brought some convincing arguments for the recognition of the Channel Arc Manche as a coherent co-operation area in Europe. It also highlighted the opportunity for the Channel area to positioning itself as a demonstration maritime basin of the integrated maritime policy championed by the European Commission. Launched in October 2009, the new CAMIS (Channel Arc Manche Integrated Strategy) Project seeks to confirm this position whilst taking into account the recent developments in the European and national policies. 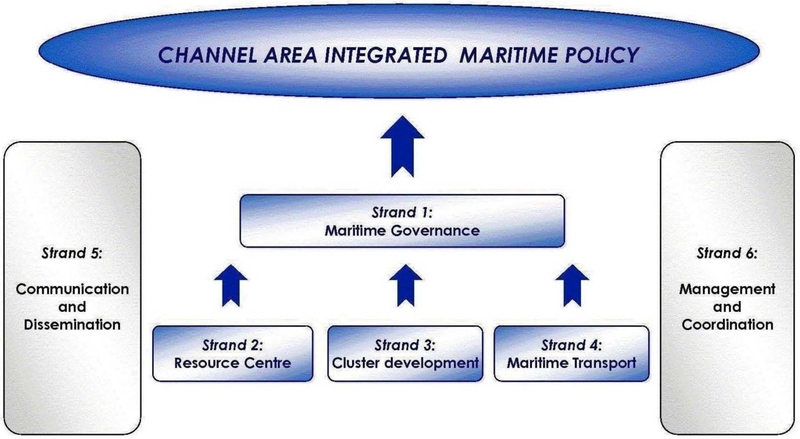 To meet these objectives, the project will consider some other projects developing scientific knowledge (such as the CHARM project) or sector-based strategies for the Channel area (ports and transport, maritime strategy…). The project will consider the whole Channel area as well as its interaction with the Atlantic and the North Sea area whenever it is relevant. - A concerted approach to sustainable management of the Channel maritime basin, in particular in relation to marine spatial planning and the management of conflicting uses. This strand consists of setting up a resource centre and mechanism to support enhanced decision making and co-operation in the Channel area. This strand aims at highlighting cross-border cluster opportunities, facilitating the development of crossborder clusters and exchanging good practice between stakeholders. This work package will investigate the economic and connectivity function of the following transport sectors in the Channel area : Strategic passenger and logistics rail corridors, Strategic Road Access to economic centres and ports, Economic function and potential of airports, development of ports. Concerning the particular issue of maritime safety in the Channel area, an additional part of this work package will seek to improve the organisation of local authorities and their capability of having their voice heard at the international and European level.